This week we will answer that last question. When do I use them? The answer to this question is very crucial for couponing success. Every week I take a few moments and check out my local store ads. I compare my book of coupons to what is in the weekly sale. Usually, the items in the weekly ads are on an excellent sale and when combined with the coupon, they are at stock-up price. A lot of times I see the causal couponer at the store. They usually have one or two coupons for an item. While on that item specifically they may be saving $ 0.50 or so, if they normally purchase a generic or the same item at another store for less, they are not saving anything at all. If you stack those coupons with a weekly sale, you can get up to and including 100% off. Usually, my savings average 75% off ticket price, but I am a stickler for knowing what my usual price is for that comparative item. I believe this keeps me from overspending. I have a coupon for the Betty Crocker brand in my coupon book. It is for $ 0.50 off of 2 boxes. If I were to go right now and use all my coupons for this item, usually I have at least 6 of every coupon, I will buy 12 boxes at $ 2.75 retail and use that $ 0.50 off 2 coupon. The cost of these would be $ 33.00 retail subtract $ 6.00 ( $ 0.50 *6*2), because at this particular store the coupons would double, I am going to pay out of pocket $ 27.00 for these 12 boxes or $ 2.25 a box. I know all you awesome money minded shoppers are going, 'That's ridiculous!' and you are sooooo right. I still paid way more than my Aldi comparative product. If I had waited for the store to put them on sale and used my coupon, it would have went something like this. This coming week Giant Eagle has their Betty Crocker fruit snacks when you buy 4 they are only $ 1.00 a box. Already, $ 1.75 off retail and less than my Aldis. We are already saving huge with just the weekly sale. Now, lets sweeten it. Let's take those 6 coupons to the wonderful store that will double them to a full $ 6.00 off ( $ 0.50*6*2), and only pay $ 6.00 for these 12 boxes. That makes them $ 0.50 a box. This is why I love couponing. I love sweetening those deals. However, even if you don't have time to put that effort in for couponing, I hope you are watching those sales. I could have price matched that $ 1.00 a box price at Wal-mart as well. Just those extra efforts will save you big. I am a huge believer in Aldis. I know I am getting awesome prices. Before I started couponing, I didn't think they could be beat. I have beat a lot of their prices time and time again. There are some things that I will never get cheaper than Aldis, but I have been able to, even with just weekly sales. Stocking up on those constant family favorites and necessities have been crucial to those dry times financially and I believe we all can benefit from being a little extra prepared and being good stewards of our finances. 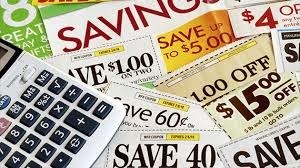 So go out there and investigate those weekly ads, research those weekly coupon match-ups available from some great couponing blogs, and I hope I have tempted you with some fantastic savings possibilities!